Product information "Classic Graphic Clog Kids White / Red Croslite"
The iconic clog that started a comfort revolution around the world, charmed kids everywhere and made parents fall in love with their easy-to-wear, easy-to-clean design! 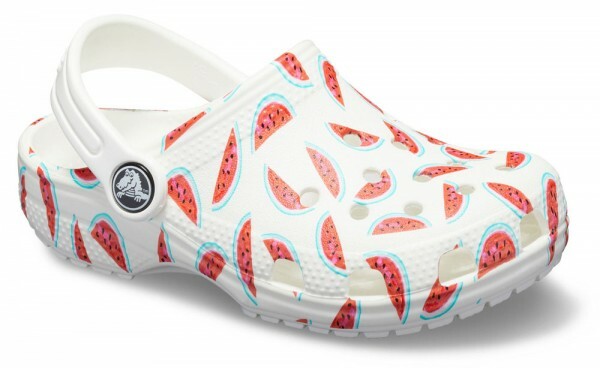 Crocs Classic Clogs have been refreshed for a new season with fun new graphic options, including all-over flower, camo, watermelon, and rainbow designs. With lightweight Iconic Crocs Comfort and a color for every personality, they're good at reminding kids of all ages to go out and play. Related links to "Classic Graphic Clog Kids White / Red Croslite"
Customer evaluation for "Classic Graphic Clog Kids White / Red Croslite"